A federal judge on Monday reamed the American lawyers for a Russian firm charged by special counsel Robert Mueller for the lawyers’ “unprofessional, inappropriate, and ineffective” court filings. “I will say it plain and simple: knock it off,” Judge Dabney Friedrich told lawyer’s for the firm, Concord Management, during a Monday morning hearing about the “clever quotes” they include in filings bashing Mueller’s team. As she tried to move on to the more substantive matters she sought to deal with in the hearing, Concord Management’s lawyer Eric Dubelier pushed back, accusing her of bias. “There appears to be some bias,” he told the judge, explaining that he will need to talk to his client before answering the questions the judge had asked about the issues she sought to deal with in the hearing. After the heated exchange, the courtroom was sealed to deal with a discovery-related dispute in the case. Concord Management was among the Russian organizations and individuals charged by Mueller in February for facilitating Russia’s internet trolling campaign in the 2016 election. Concord Management is the only defendant from that indictment to show up in court to fight the charges. 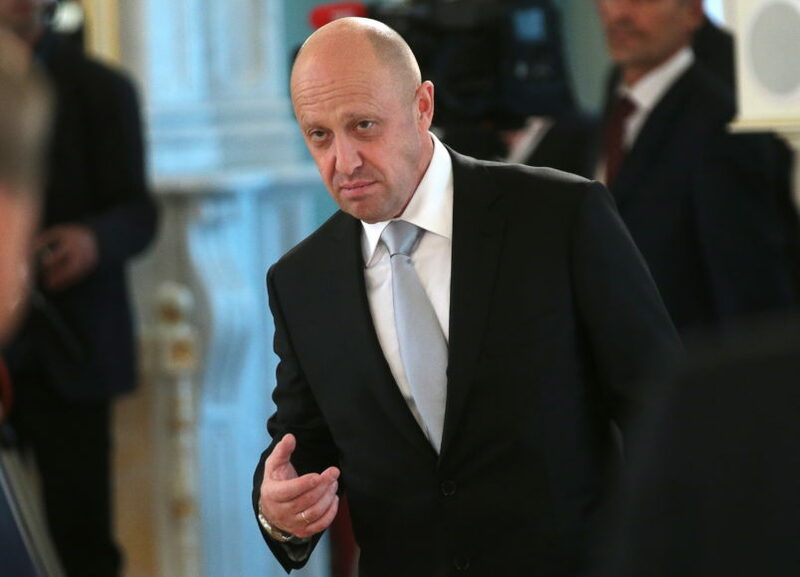 Its executive, Yevgeny Viktorovich Prigozhin (pictured above), a Kremlin-aligned oligarch known as Putin’s chef, was also charged by Mueller in February but has not submitted to the court’s jurisdiction. There is currently a legal dispute over whether Prigozhin and other individuals should have access to the discovery being turned over to Concord Management’s American legal team. Concord Management is also seeking an explanation from Mueller about how his team obtained information that the firm believes may have been inappropriately shared with prosecutors. Since being hired by the company, Dubelier and his colleagues at the firm Reed Smith have brought an aggressive and at times fiery defense of the company. Their court filings have accused the “unlawfully appointed” Mueller of engaging in “hysterical dithyramb” and of bringing a “make-believe” case. The court filing came in a dispute over whether prosecutors inappropriately obtained information they used to take an unspecified “investigative action.” Concord Management has suggested the action was taken based on information that its lawyers had provided to a firewall counsel appointed in the case to help deal with the discovery issues. The firewall counsel is a DOJ attorney seperate from the trial team who Dabney said is supposed to review the specific materials the firm’s lawyers want to hand over, so as to not tip off the trial prosecutors to the defense’s strategy. She suggested that requests regarding which specific people, be it foreign lawyers, paralegals or translators, it is seeking to share the information with should be done in open court. She set a hearing for March 7 on a request by Confirm Management’s that she order Mueller to explain how he obtained the information. It is not clear how or when she will address the firm’s broader request to share discovery with Prigozhin.